Not all Windows users get impressed with the default apps offered by the operating system. The reason is commonly due to a minimum features. Windows Explorer is no exception. Not all Windows users love this default file manager. Is there an alternative to replace it? Of course. Not only one but there are several. 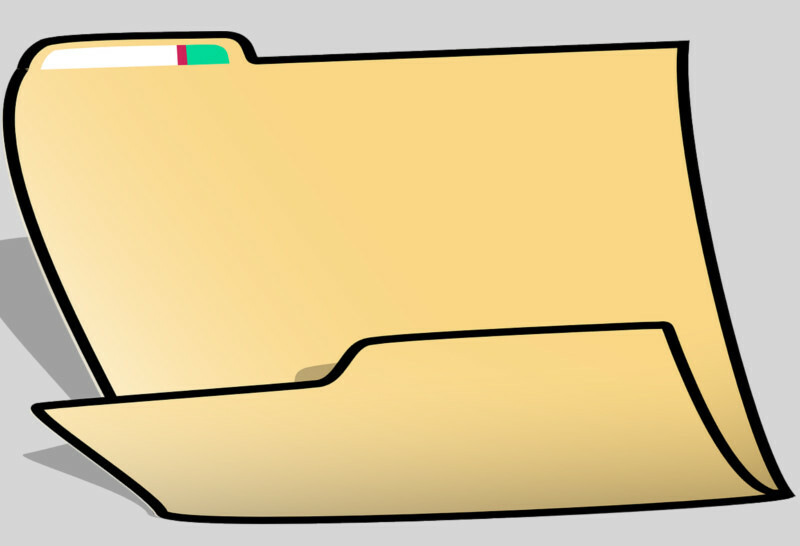 The the main function of a file manager like Windows Explorer is nothing but to help you manage the files you have on your computer. It usually comes with basic commands like copy, paste, folder creation and lots more. Windows Explorer itself is basically a good file manager. It is very easy to use with no complicated interface. I personally a fan of it. I have no idea about what you are looking at of a file manager app. 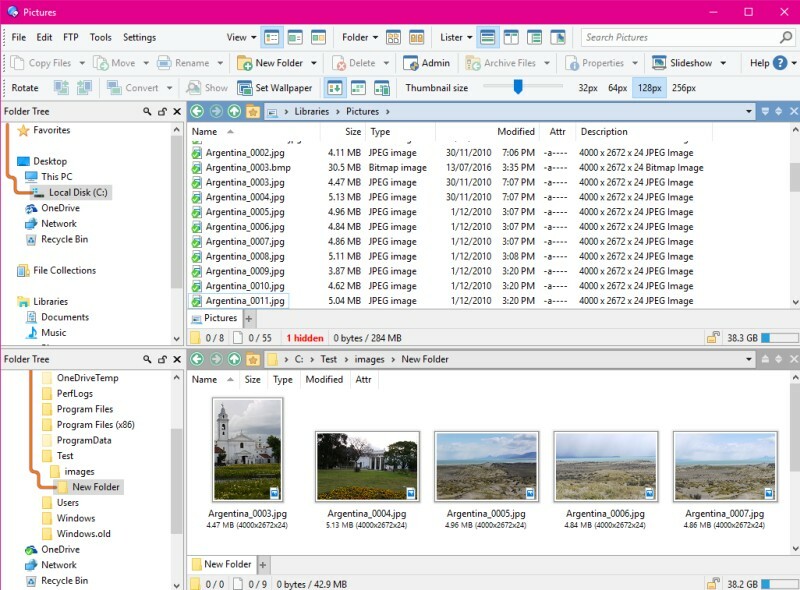 But, if you want to replace Windows Explorer with something else, here are some alternatives. XYplorer is a premium Windows Explorer alternative. This file manager is a great option for a multitasker with a pile of tasks like you. At a glance, you may will find no significant differences between XYplorer and Windows Explorer. They both come with an iconic yellow folder. However, XYplorer comes with more features than Windows Explorer. XYplorer comes with a tabbed interface to enable you get more tasks done. Also, there is a dual panel option to let you handle more tasks at the same time. If you don’t like the default look of XYplorer you can also customize it to meet your taste. As I said, XYplorer is a premium app which mean you need to buy it first being able to use it. You are given a 30-day trial period to try it. Previously, there was a free version of XYplorer but has been discontinued. XYplorer is compatible with all versions of Windows. Same as XYplorer, Directory Opus is also a premium Windows Explorer alternative. They both seem are contender. How great is it? Directory Opus has nearly all features that XYplorer also has, including tabbed interface that lets you keep multiple folders open while you switch to another ones. There is also an option to turn the Directory Opus window from single panel to dual panel. In addition to standard features and functionalities of a file manager, Directory Opus has more capabilities. For instance, you can use this file manager as a FTP client to enable you easily transfer local files to your FTP server. There is also a feature to enable you editing the metadata of certain files as wells as batch renaming. This file manager is also compatible with all Windows versions. Same as two apps mentioned above, Altap Salamander is also released as a paid app with a 30-day trial period. This file manager also accentuates its dual-panel interface which will help you getting the more out of your multitasking habit. There is no significant differences between Altap Salamander and Windows Explorer in terms of interface. You will also see the iconic yellow folder of Windows Explorer. Apart from dual-panel interface, Altap Salamander emphasizes the enhancement functionalities of Windows Explorer. In addition to basic operations you can also do such more things as compare directories, change attributes, convert files encoding and so on. You can also install Altap Salamander on any version of Windows, including Windows 10. Need a free alternative to Windows Explorer. If so, then you need to turn to Explorer++. The features of this file manager is probably not as rich as three file managers mentioned above. But, if your intention of looking for a Windows Explorer alternative is to enhance your productivity then the tabbed interface of Explorer++ can help you accomplish it. Additionally, Explore++ also features advanced file operations such as merging and splitting supported. Explore++ is actually an open source project initiated by David Erceg but, it’s only available for Windows with no Linux support. It’s released under the GNU General Public License v3. You can follow the development cycle on GitHub. 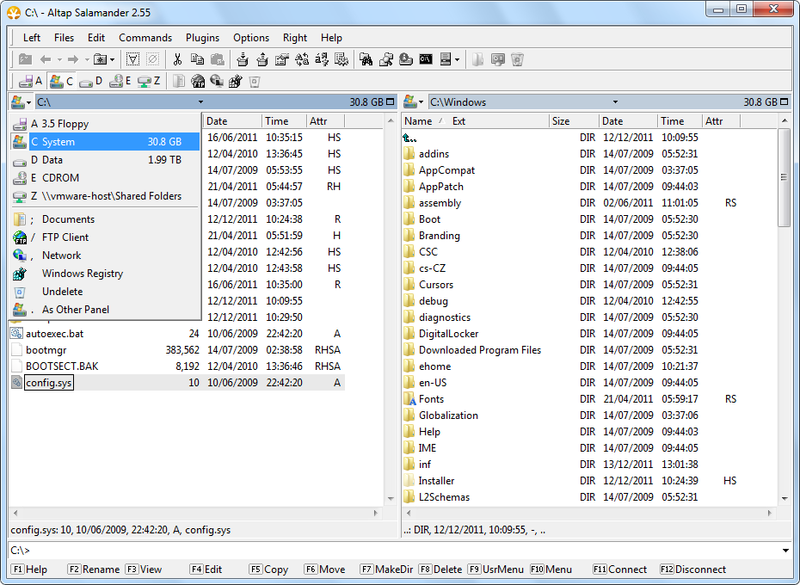 Free Commander is, well, a free file manager which you can use to replace Windows Explorer. It is quite similar to Explorer++ in many ways. Apart from free, they both also have a tabbed interface to help you enhance your productivity. Additionally, Free Commander also features a dual-panel option to enable you do more tasks at the same time. You don’t need to install any additional app to open a ZIP file since Free Commander has the capability to handle that archive file format. To open other formats of archive files like RAR and 7z there is a plugin which you can install too. 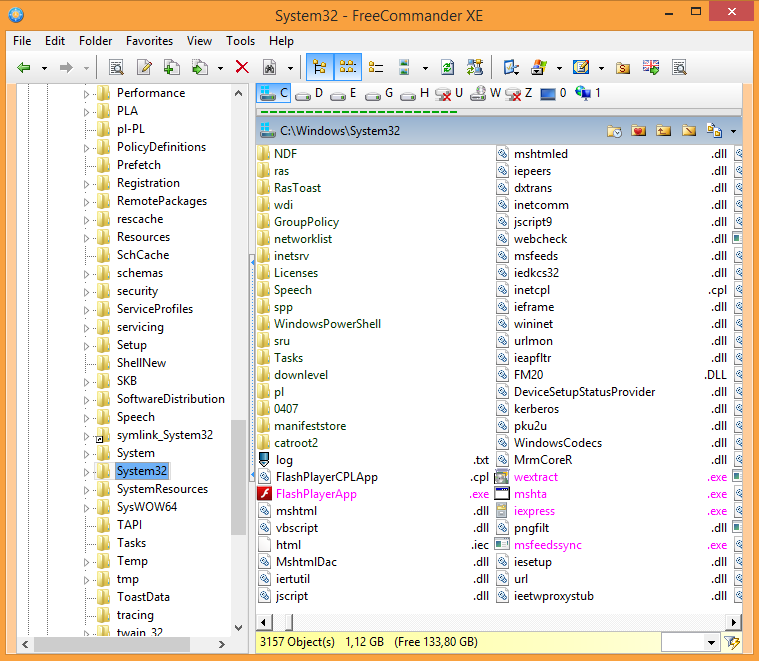 Best of all, you can run Free Commander as a portable file manager by copying the installation directory on a USB flash disk. Well, fman is probably has no fancy look like 5 file managers mentioned above. But, it also helps you improving your productivity with its dual-panel interface. Fman itself is an extensible app which you can enhance its functionalities by installing additional plugins. Fman is released as cross-platform open source app. 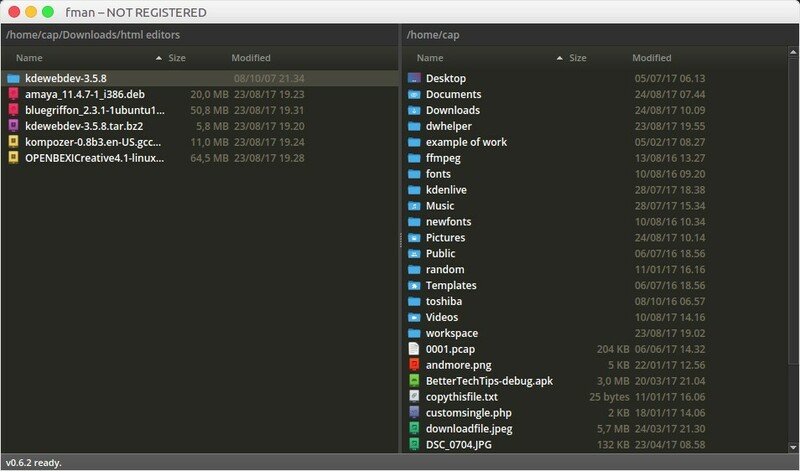 In addition to Windows, this file manager also available for Linux and macOS. Although fman basically comes with minimum features, but it’s not fully free. You will be asked to buy a license if find this app useful and want to use it for a long period. Consider Q-Dir as well, it’s a quad-box Explorer alternative (with tabs) that I find a great complement to the standard Explorer. It allows you to save profiles and I keep it open in the background opened to the folders I use repeatedly. It’s great for brute efficiency for high-volume file users like myself. Q-dir is amazing, super lightweight and freeware. 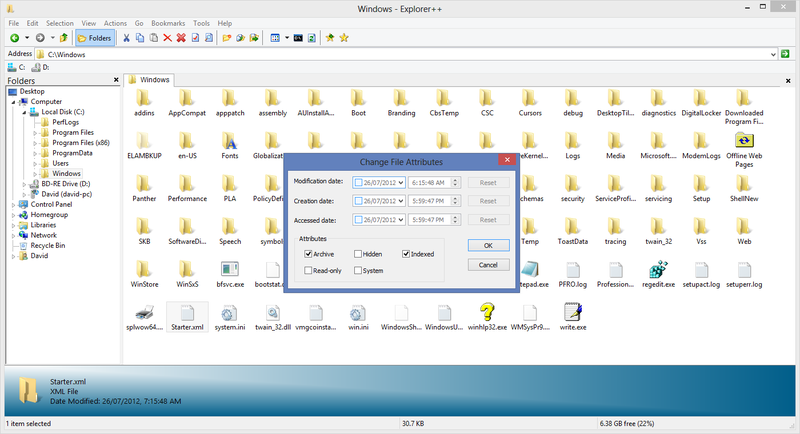 THE best windows explorer that I ran into, and I tried quite a few of them. And it can have FOUR separate windows to work with. Every time I have to reinstall OS, that is the first thing I download and install. FreeCommander is so counter-intuitive that you’ll need to take a class to figure it out. I bought a year of donor subscriptions to support the guy who keeps it up-to-date but I don’t use it – gave up. Not made for normal humans.